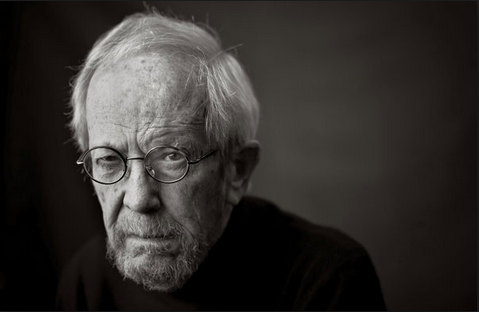 As you have probably heard, Elmore Leonard, the US crime writer known as the ‘Dickens of Detroit’, died earlier this week at the age of 87. 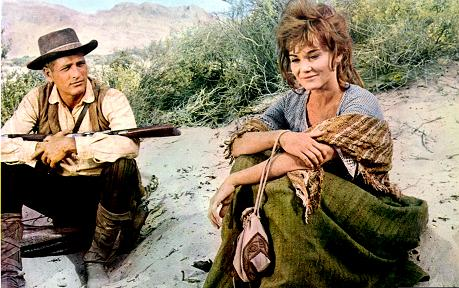 More than 40 of Leonard’s works have been made into tv shows or films, with his film credits including 3.10 to Yuma, Jackie Brown, Get Shorty and Hombre . (Hombre is a great excuse to show a picture of the gorgeous Paul Newman, who was, indeed, the man). Leonard, who was known for writing his novels in longhand on a custom-made 63-page pad and typing them up on an old electric typewriter, was working on a 46th novel at the time of his death. As Leonard has inspired millions of would-be writers (and successful writers, see Ian Rankin’s tweet, left), I thought it would be timely to remind myself of his Ten Simple Writing Rules. I’ve chosen to quote the entire article within which these rules first appeared, as the supporting text makes the thinking behind the ‘rules’ much clearer. The article appeared in the Writers on Writing column in the New York Times. The archive is a goldmine of writerly insights: search for nuggets here. This article originally appeared in the New York Times within its fascinating Writers on Writing column. You can explore the archive here. Brilliant! “…depends on how lucky I get.” Who writes dialogue like that anymore? Fascinating story about a poor interview with Elmore Leonard, which still yielded enough great advice to get a wannabe novelist on the path to finishing his novel and getting published, here. I’ve never read any of Mr Leonard’s books, although I’d heard of him, obviously, I think I’d dismissed him as a hack crime writer (callow youth that I was…). Now I wish I had done having developed literary pretensions over the intervening years. I first read about his ‘rules’ in an obituary but this is the first I’ve seen of them in context, as it were. Thanks for that. Hope you are well my dear. Long time no hear! Yes the context makes a difference, doesn’t it? Very lovely to be back in touch: I’m in London this week if you fancy a beer? This is gold. I wish many of the so-called ‘contemporary greats’ had listened to this advice.